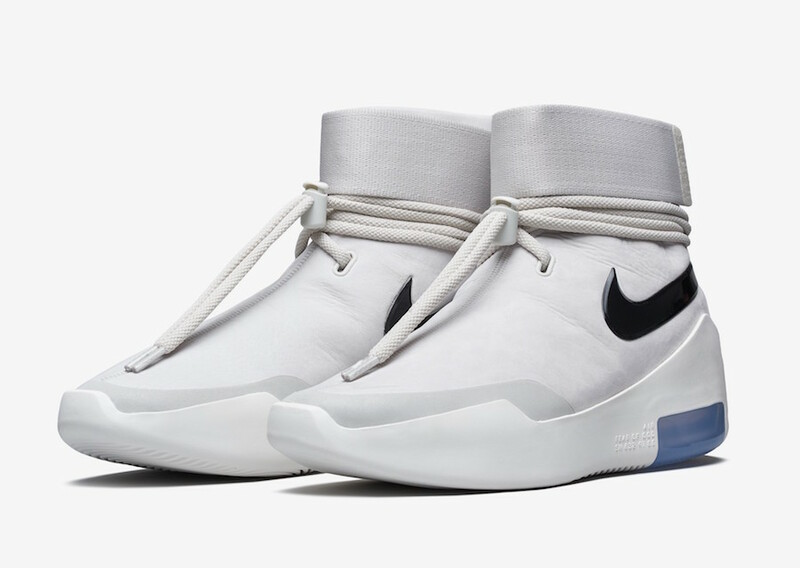 Jerry Lorenzo released his first Fear of God Nike collaboration last weekend with the Air Fear of God 1 and Air Fear of God "Shoot Around" models. The pairs that released on the weekend were in all black, and white and black respectively. Fans of the shoe are already awaiting new colorways and they are in luck with this new "light bone" version of the "Shoot Around" model. This particular model is more for everyday wear compared to the Air Fear of God 1 which is seen as more of a performance show. The shoe has laces that wrap around the cuff of the shoe, with a strap that goes around your ankles at the top. The shoe is all white, with a rectangular Nike air bubble on the bottom, and a black swoosh logo. The shoe will most likely be limited just like the black version. For those who are lucky enough to cop the shoes at retail, they will have to shell out $300 USD. These kicks are slated for a January release and will be available for purchase at select Nike Basketball retailers, as well as the SNKRS app, according to Hypebeast.